Without further ado, I bring you some Christmas sayings for your letter board. Unfortunately, my brain did not allow me to come up with too many original sayings like I did for the fall letter board post. Nonetheless, these are our favorites! 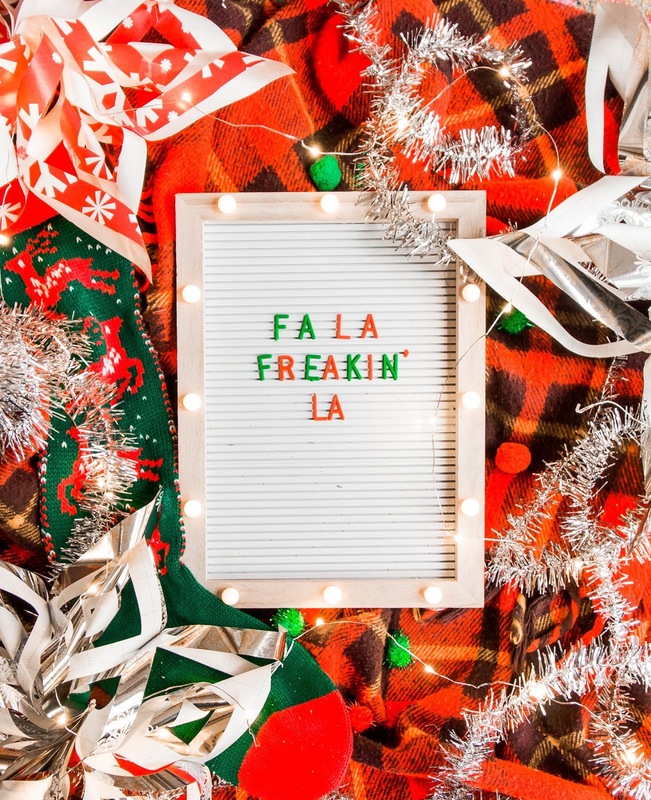 So "fa la freakin la" is a Casey original saying. You can ask Savannah, my personal specialty is remixing songs. Christmas carols are one of my favorite things to remix, and that's where this top saying came from. We purchased our letter board at TJ Maxx and I haven't been able to find another one exactly like it. I'm linking one here that is double sided- black on one side and white on the other. Here are red letters. And here is a pack of multi-colors that contains green so you can use red + green letters if ya want. One thing you need to pay attention to when you buy a letter board is the size letters you need. Our board needs 3/4 inch size letters. What is more classic than Home Alone? Well, I guess there are a lot more movies that were around before Home Alone, but it's definitely one of our favorites. 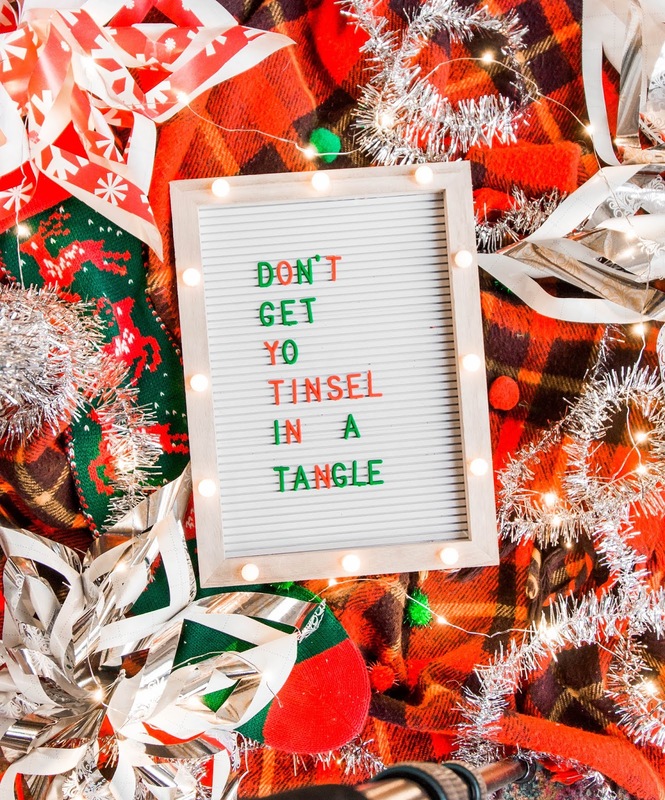 We couldn't let this quote miss this Christmas letter board post. 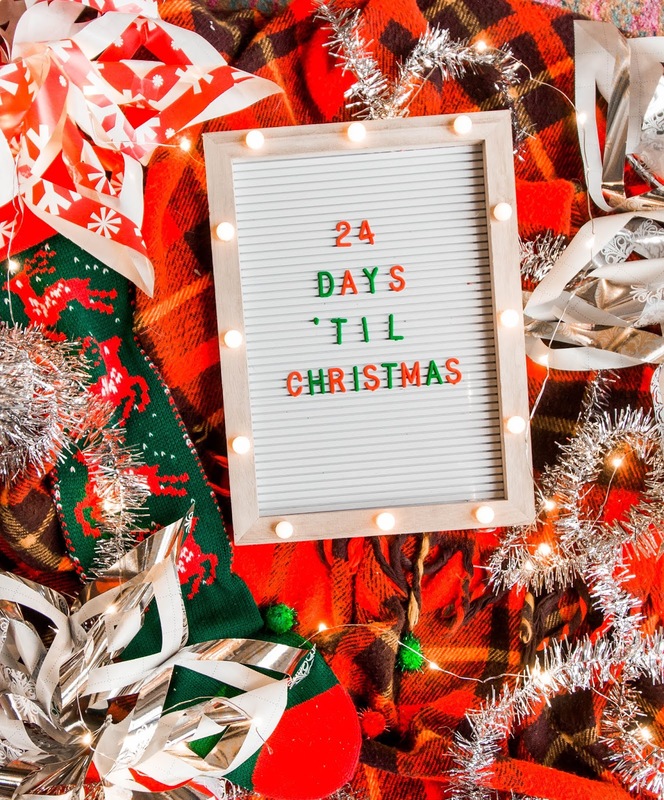 Christmas countdowns are fun! I've done advent calendars before and marked off a regular calendar counting down the days until Christmas. It just builds up the excitement and I think kids would love it! Nothing original here but it's just a cheery phrase that makes me feel jolly! 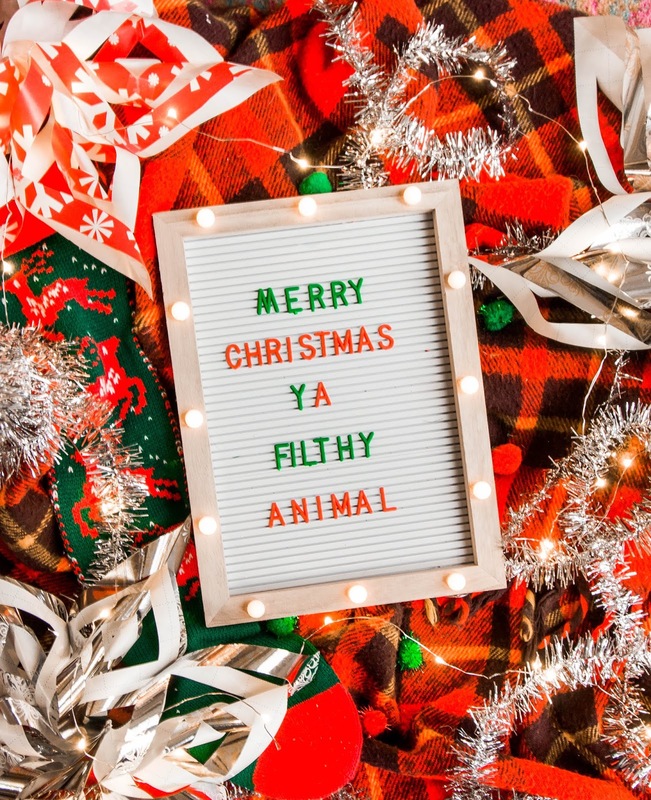 So, I haven't seen this on a Christmas letter board yet, and i really don't know why. It's the greatest Christmas lyric from the greatest boy band of all time. I know you know I'm talking about NSYNC and their Christmas song, Merry Christmas, Happy Holidays. This song is a good time and puts me in a good mood. Well guys, that's it for today. 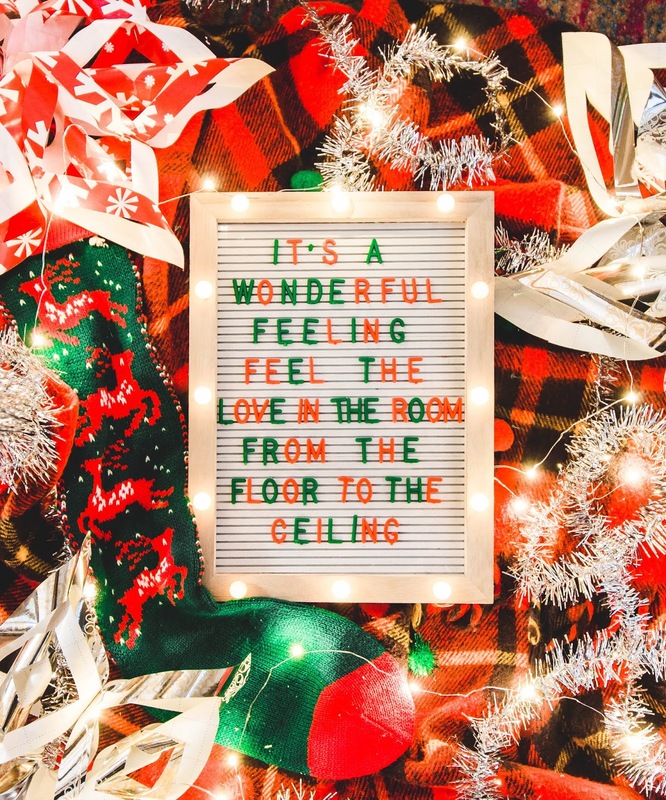 If you have any other great Christmas sayings let us know in the comments. Also, we are doing Vlogmas over on our YouTube channel, so go check that out. We are going to have a video posted every day from December 1-24. 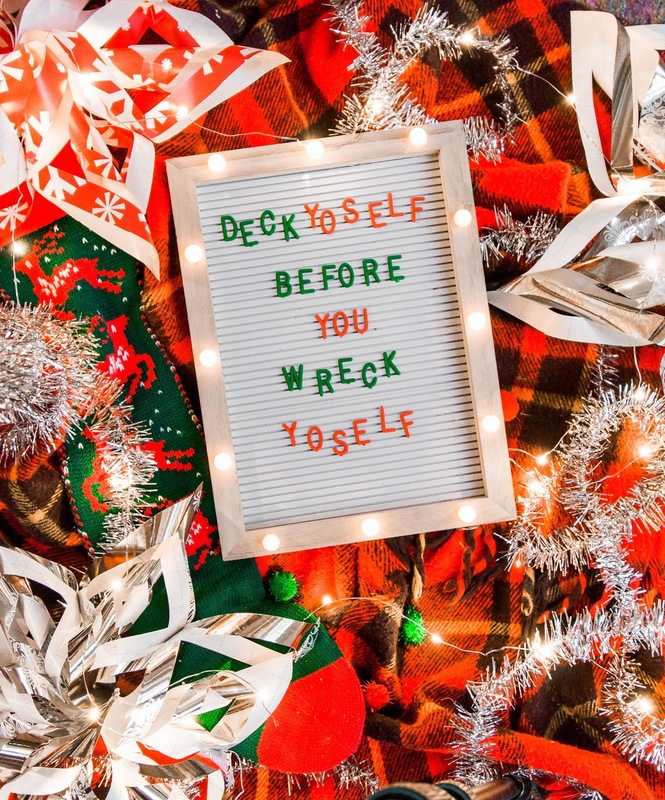 There will be lots of DIYs- home decor + gifts, etc.